This is such a cool new adventure for me! I’m a part of the Artful Gathering faculty this summer, and it’s just unbelievable because the other faculty members are artists and craftspeople whom I’ve heard about and admired for years – people like Keith Lo Bue and Riki Schumacher. Who knew I’d be teaching alongside them? Zowee. 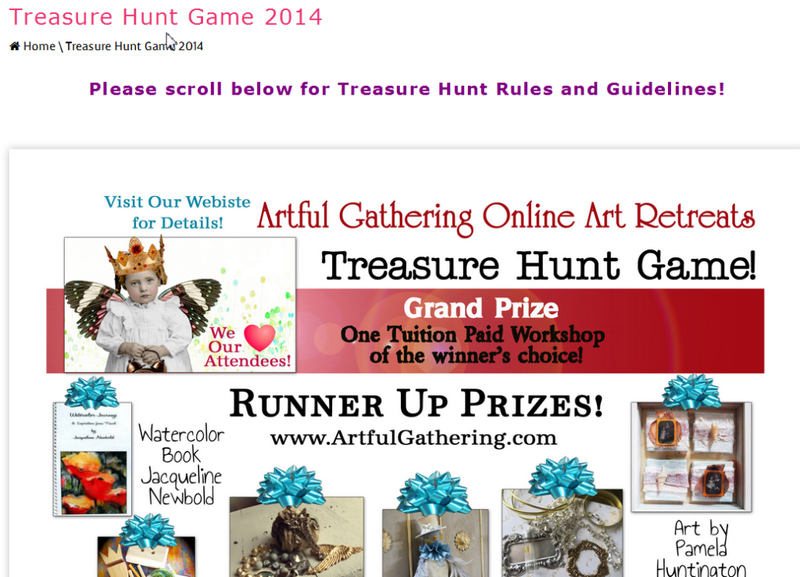 So here’s the deal with this particular post – there is a treasure hunt going on with the Artful Gathering site – you can see a list of prizes here – and you can play along in the Artful Gathering Treasure Hunt. Find the Big Red Square somewhere on my blog to get your secret word! It is in a red block on my side bar. Look for the crown! 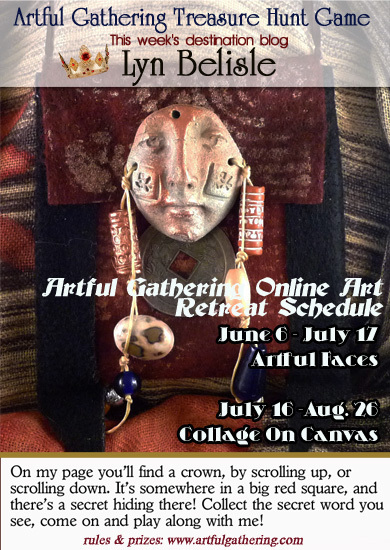 Then go to www.artfulgathering.com to read all about the rules and prizes. I hope you’ll sign up for at least one of the classes – and you might even win a class if you play the Treasure Hunt.